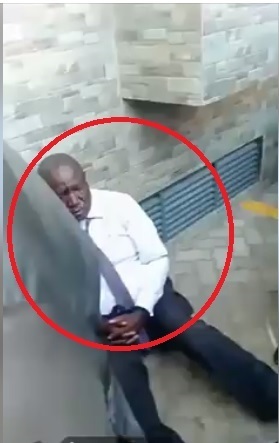 Thursday, April 11, 2019-A fake Kenya Revenue Authority (KRA) official was cornered by irate business people in Nairobi’s Industrial area and given a beating. The smartly dressed man who had fake KRA identity documents has been moving round harassing business people who own light industries in the area and demanding for bribes. But Thursday morning is a day he will forever curse after he was caught red handed. The business people he has been harassing were shocked to find out that he has been operating with fake documents. He was beaten like a squirrel before police came to rescue him.